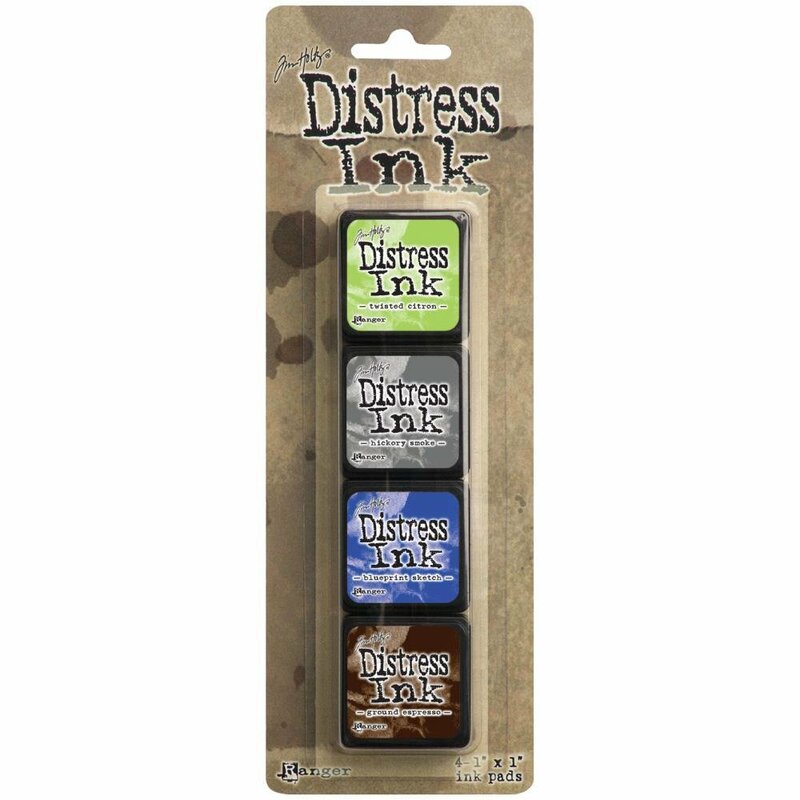 Distress Mini Ink Kits. Features the same unique, water- based dye ink formula used in the full-size pads, but in a convenient stackable pad. The raised felt makes it easy to use on smaller craft projects and can be re-inked with coordinating Distress Ink Reinkers. This package contains four 1x1 inch ink pads in four different colors. Acid free. Non-toxic.